If you are raising kids after a divorce, you don’t need to be told that even in the best situations, coparenting can be difficult. In addition to the kids and two parents involved, there are often step-parents, grandparents, extended family, lawyers, parenting coordinators, mediators, court officials, and teachers who have an interest in how your family functions. In addition, there are the practical issues that arise from coordinating two households, following a court order, sharing expenses, and keeping up with busy schedules. Add in the emotional components that each family member brings to the situation, and it can be a very trying way to live at times. As complicated as all of this can be, thousands of families do it (successfully) every day. They do their best, because they all share a love for the kids at the center of the coparenting relationship. There are new resources available today to help parents tackle the practical challenges of sharing their children. Lots of families utilize Google’s shared calendars, and email and text messaging can help high-conflict parents communicate with less arguing. Even better for many families, there are now online low-cost subscription services that provide a myriad of tools designed specifically to facilitate coparenting. The creators of this service seem to really understand how coparents need to share information, and having it all centralized in one place can help parents focus more on the kids, rather than the logistics. And they’re not the only ones. A quick internet search shows that there are other similar services out there, such as Our Family Wizard. If you are in a high-conflict coparenting situation or would simply like to keep things more organized and smooth between two households, consider whether one of these services might be worth trying for your family. To wrap up this series of blog posts on spying on your spouse, let’s talk about “nanny cams.” The use of secret video recording, or at least discussion of it, is prevalent today. You might be wondering then, given all of the legal limitations on other forms of snooping that we’ve discussed, how nanny cams can be legal. Using hidden cameras, however, does not in fact violate the wiretapping statutes that we have addressed in other blog posts. The use of nanny cams is in fact permissible, because the rules about video recordings are different from rules about voice and telephone recordings. Our federal and state wiretapping laws only apply to the interception of oral communication. This is why nanny cams (the legal ones, anyway) do not have audio recording features. It is generally okay to record video without an audio feed in your own home, without the consent of the person being video taped. If you own the property, or have permission from someone who owns the property, it is most likely permissible to place an inconspicuous video recorder to determine what is going on in your home. We have addressed a number of ways in which you might be legally able to check up on your spouse’s activities. With all of the technology available to us today, it is easy to indulge your insecurities or give in to your suspicions and start checking up on your loved one. Sometimes snooping is reasonable and warranted; sometimes it is unjustified and invasive. Just because you could legally snoop through some of your spouse’s communications, does not mean that it is the right or healthy thing for you or your relationship. Before you start spying, think it through — what are the likely effects on you, your family, and your relationship if someone (especially your spouse) finds out that you distrust your spouse enough to start snooping? Snooping should only be undertaken with care, from both a legal perspective and a personal one. 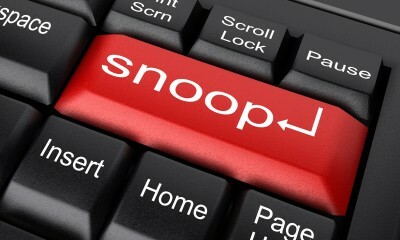 Legally, there are limitations and complex considerations involved with some types of snooping. To be certain that you do not violate federal or state statutes and expose yourself to civil or criminal liability, it is always best to talk with a lawyer before spying on your spouse. Also, just because a method of getting information is legal, does not mean that the information you gather can be used in court. So take into consideration whether the breach of trust will be worthwhile if you cannot prove in court what you find out from snooping. Finally, consider your personal well-being and the strength of your relationship. If your gut is telling you that even legally permissible snooping is a bad idea in your situation, listen to it! Think honestly about the source of your doubts and how you and your partner can address them…and hopefully avoid the need for a divorce lawyer altogether. 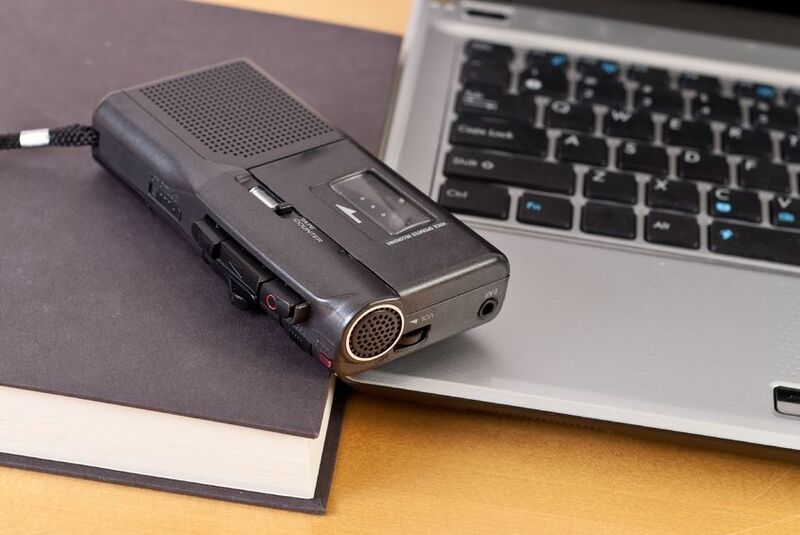 In our digital age, tape or voice-activated recorders are cheap, easy to use, and easy to hide. But can you hide one in your spouse’s car or office to get evidence of cheating? No! In North Carolina, it is illegal to record a conversation without the knowledge and consent of at least one of the parties being recorded. 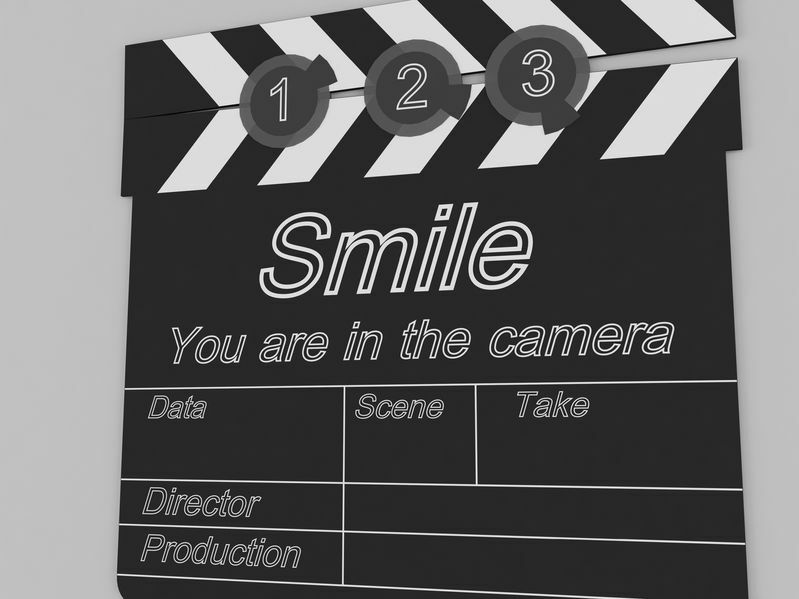 So you may record your own conversation with your spouse, because you have consented to the recording. You may not, however, record the conversation of two unsuspecting, unconsenting parties. Hiding that voice-activated recorder in the car could be a very costly violation of wiretapping statutes, plus any evidence of an affair couldn’t be used against your spouse anyway. In addition to evidence of cheating, you might want to record your own conversations with your spouse to provide evidence of problems that occur during custody exchanges, or evidence of domestic violence. Just remember that only conversations in which you are involved are fair game. There is one exception to this rule, which allows you to record conversations between your children and another party. In certain situations, you may give consent on behalf of your children, but only when you are concerned about the safety of your children. If, for example, you suspect that your spouse is abusing your children, you may record conversations between the children and your spouse. You must be prepared, however, to defend the recording in court by showing that you had a legitimate reasonable fear for your children’s safety. Your word or simple suspicion will not be enough — you need evidence to back up your fear. Bottom line: You can only use a recording device to record a conversation to which you are a party; it is illegal to record conversations of others without their consent. In limited circumstances, it may be permissible to record the conversations of your children with others. Click the link above to read a to-the-point article that gives smart advice about questions that you might be pondering if you are going through a divorce, especially with kids. Be sure to brainstorm and keep a list of important questions and topics that you want to review with your lawyer before your next meeting. Lawyers can’t read minds — if an issue is important to you, bring it up so that we can help you address it. Another form of snooping that some suspicious spouses might be tempted to employ is placing a GPS tracking device on the spouse’s car to track his or her whereabouts. But before you start fantasizing about spying like Jack Bauer (or Sydney Bristow, for the ladies), it is unclear right now whether this form of spying on your spouse is permissible. On this subject, the law has not yet caught up with technology. In US v. Jones last year, the Supreme Court addressed whether the government may use GPS devices hidden on vehicles to track the activities of criminal suspects. The Court found that using such a device does constitute a search under the 4th Amendment, so police are generally required to obtain a warrant in order to place a GPS device on a suspect’s vehicle. When it comes to you and your spouse, some lawyers disagree about whether the Jones decision would apply to using a GPS device to track a family member. There is no law on this subject yet, and it is unclear how courts will rule. In the family law context, the question boils down to two issues: (1) ownership and (2) expectation of privacy. If you own the car, it is titled in your name, and you are not separated from your spouse, then you most likely have legal authority to install a GPS device on the car. The same would be true if you wanted to track your spouse using a phone GPS app — if you own the phone, it is registered under your name, and you are not separated from your spouse, you can probably install the tracking app without being in any legal trouble. If, however, you do not own the car or phone, it is not titled in your name, or you are separated from your spouse, then your spouse may very well have an expectation of privacy in his or her car and phone. 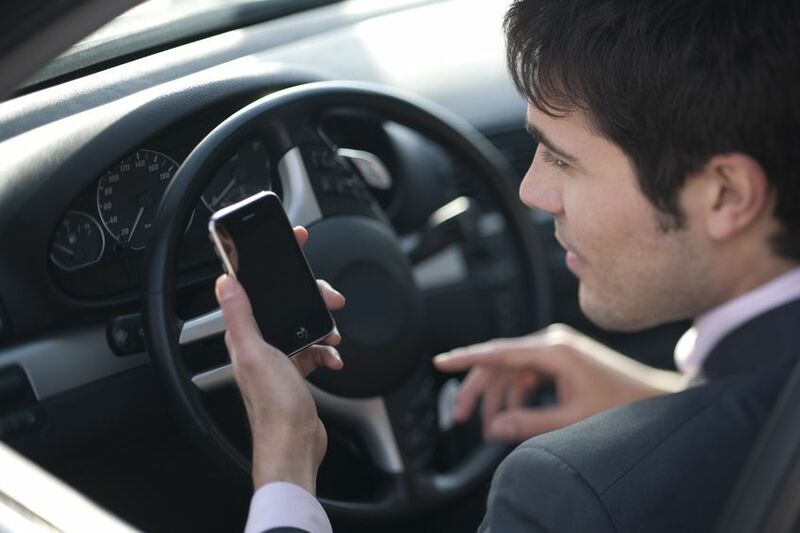 While North Carolina courts have not specifically addressed this issue, you should think twice about using GPS under these circumstances because your spouse may have grounds to sue you for several torts. You could potentially be liable for money damages for invasion of privacy or trespass if you violate your spouse’s expectation of privacy. Both technology and the law are constantly changing. If you are thinking of using a GPS device to track your spouse, talk to a lawyer first about where the law stands at the time and how your actions might affect you and your legal position in the future. 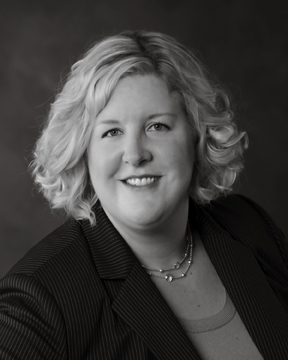 This is a really insightful article from About the Children with really smart advice about how to work with your lawyer to make things go as smoothly as possible in your case. The keys to a good, productive attorney-client relationship are respect and honesty. Making sure your attorney has all of the information he or she needs, even if it could be damaging to your case, is very important. One way that you can get into another person’s inbox is to use spyware. This is software that “spies” on the computer on which it is installed. There are different types of spyware — some send you copies of emails that go in and out of the target’s mailbox, some track internet usage, and some capture every single keystroke. Depending on your level of tech-savvy, spyware can be cheap, easy to use, and hard to detect. It is also, however, illegal. Various types of spyware may violate ECPA Title I, Title II, or both. Don’t waste your time on this type of snooping — your attorney won’t even want to hear what you find out if it was obtained illegally. Title II of the ECPA covers unauthorized access to electronic communications that are held in electronic storage. This means that unauthorized access to emails stored on your spouse’s computer, phone, or tablet is illegal under Title II. Thus, the question to ask yourself if you’re considering email snooping is: “Am I authorized to access my spouse’s email account?” This may seem like a simple question, but it can be quite tricky. Whether your spouse’s work computer is at the office or at home, you should refrain from snooping. A work computer might contain sensitive client or other work-related information, in both email and other files and programs. Your spouse’s privacy is not the only concern — other’s people’s privacy may be violated as well. The potential for illegally or unethically exposing confidential information is too high — just don’t do it. If your spouse isn’t creative or careful in creating passwords, you may very well be able to guess the password or answer the security questions to gain access to email. Again, the important question is whether you have authorization to look at the email account. Just because your spouse is predictable or you have a great memory, does not mean that your spouse has given you authorization. Thus, this type of access would not be permitted under Title II. Imagine that your wife is travelling for work and realizes that she has left an important document on her laptop at home. She calls to ask you to log in and email the document to her, and she gives you the passwords to do so. She gave you permission and passwords to use her computer, so you must be authorized to take a peak at her email a week later when she leaves her laptop at home again, right? No; your authorization was limited in time and purpose to the day she asked for your help and the documents she asked you to find. If you go searching through the hard drive and emails a week later, you do so without authorization and in violation of Title II. If, however, your spouse gave you her email password, knows that you have it, and knows that you use it regularly, you may have authorization. If she changes her password without telling you the new one, then your authorization is likely revoked. The difference between the situations described above is between a pattern of acknowledged access (probably authorized), and an isolated grant of access followed by unacknowledged reentry to the account (probably unauthorized). Obviously, the question of authorization can become very complicated under some circumstances, and both parties might have strong arguments that access was or was not authorized. When in doubt, talk to your lawyer, and ask yourself whether peeking at your spouse’s email feels like spying. If it feels like you are invading your spouse’s privacy, then you probably are. Do the rules for checking your spouse’s email change if the access is on a phone or tablet? You don’t need a password to open the email app, so it’s basically wide open and fair game, right? This issue also comes down to authorization. If your spouse gave you the passcode to unlock the phone and knows that you use the phone with some regularity, then tapping to open the email app is probably authorized. But if you merely guess the passcode and normally do not use the phone, then you are still not authorized to snoop through the email or other programs. Also, you must be very careful about your spouse’s work emails that may contain confidential information about your spouse’s work or clients. Technology and tech security are always changing, so there is always gray area about whether access is authorized under the circumstances. Once more, the best course is to ask yourself whether it feels like you are snooping and invading your spouse’s privacy. If so, err on the side of caution and stay out of the email! It seems like everyone is on Facebook today, doesn’t it? Your spouse probably is. Your wife’s high school boyfriend might be. Your husband’s buddies who know what went on at that Vegas bachelor party are. Between the chat function, private messages, and reckless over-sharing status updates, there is vast opportunity to find information that your spouse or opponent might not want you to know. So, if you are involved in a separation, divorce, or custody dispute, can you snoop in the opposing party’s Facebook account? The information posted on your spouse’s Facebook “wall” that is readily visible to you and his or her other Facebook friends, is fair game. There is no expectation of privacy in these types of posts since they are put on a public forum for everyone to see. If an incriminating post or picture appears, print it out and show it to your lawyer. The printout may or may not be admissible in court, but you and your lawyer will at least have it to consider. When it comes to private chats and messages on your spouse’s Facebook account, it is a bit more difficult to know whether you might be violating the law. This is a Title II question and ultimately comes down to authorization. Your ability to legally access the Facebook activity depends on whether, and to what extent, your spouse has authorized you to access his or her Facebook. We’ll address the issue of authorization in more depth in terms of accessing your spouse’s emails, but when it comes to Facebook, if your spouse knows and has given you permission to log on to her Facebook account in the past (and has not since changed the password), then you probably would not be violating the wiretapping statutes by logging in and looking around. If, however, you simply know your spouse well enough to guess her password or correctly answer her security questions, then your access is unauthorized and illegal. Using a spyware program that tracks chats, messages, or passwords is also illegal. Thus, the safest course is to limit your snooping to the public posts of your spouse or anyone else you suspect of improper behavior. Immediately print out any important information you find, since it could be deleted later. If you are not sure whether you can legally access your spouse’s account, err on the side of caution and don’t look. Talk with your lawyer about Facebook (your account and your spouse’s), and be prepared to answer truthfully questions about access to both accounts. It shows up in both movies and real life all the time: a stray text message, Facebook chat, or email is seen by the recipient’s husband or wife. A secret is exposed that blows up a marriage or relationship. 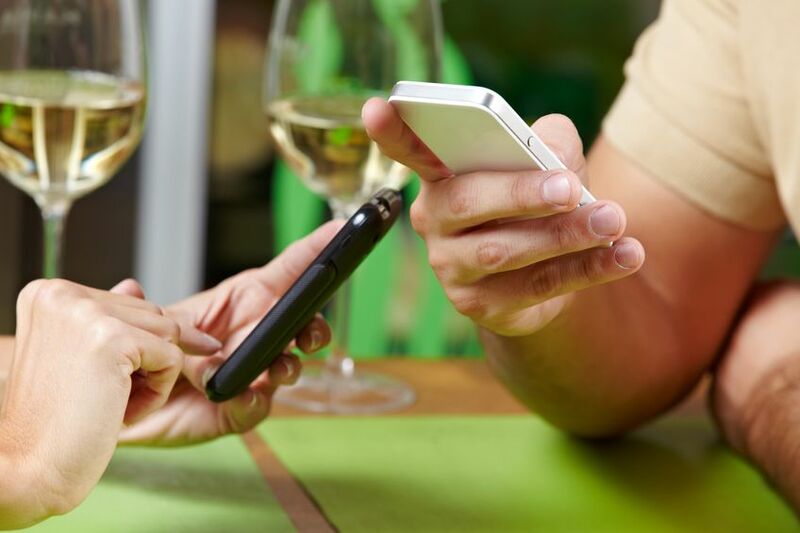 Whether you have a solid reason to suspect your spouse is cheating or are just feeling suspicious or insecure, it seems that technology has made it easier than ever to check up on your spouse’s activities. With all of the resources available – nanny cams, GPS tracking devices, spyware, voice recorders, etc – it is sometimes difficult for both lawyers and clients to know what kinds of spying are admissible in court, and more importantly, which ones are legal for you to use. If you are determined to look for proof of infidelity or other bad behavior by your spouse, you must be careful about the methods you use – some forms of snooping and eavesdropping could expose you to criminal charges. There are both federal and state laws that limit the ways you can check up on a cheating spouse. The Electronic Communications Privacy Act (ECPA) of 1986 extended certain wiretapping laws to cover electronic data that is transmitted by computers. It makes it illegal to intercept or obtain unauthorized access to certain types of information. Two subsections of this law are important in the context we’re discussing. Title I applies to the interception of wire, oral, or electronic communication. Title II applies to the unauthorized access to electronic communications that are already held in electronic storage. You might reasonably think that federal wiretapping statutes are aimed at controlling how the government can investigate terrorism or racketeering. That’s true, but they can also apply to a private citizen trying to catch a cheating spouse. Title I is implicated, for example, if you use a voice recorder to tape a phone call or some form of spyware to intercept your spouse’s emails. Title II is implicated if you “break in” to your spouse’s email or Facebook account. North Carolina has an Electronic Surveillance Act that provides much of the same protection as Title I – it prohibits interception of wire, oral, or electronic communications. We also have laws that are similar to Title II and prevent unauthorized access to another person’s computer, system, program, or network. State law also provides several privacy-related tort claims that your spouse could possibly bring against you if you access his or her communications without permission. Intrusion upon seclusion is one claim; others could potentially include trespass and intentional or negligent infliction of emotional distress. In the next few blog posts, I’ll discuss how these laws may apply to specific methods of spying on your spouse. In the meantime, the most important takeaway is to know that certain types of snooping are illegal and some might expose you to lawsuits. Before you do any questionable snooping, research what the law says and talk to your lawyer.